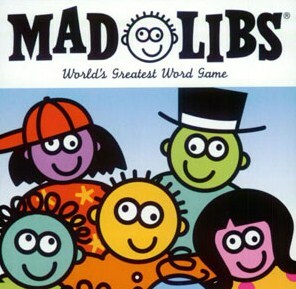 I remember when our children were in primary school, they loved playing Mad Libs. We made sure we had a new book each time we went on vacation. It’s a simple, fill-in-the-blank story that usually makes no sense. It almost always makes the readers laugh at the nonsense. This got me thinking about using this same idea to play with your spouse after a great time away. Or you could use it to remember a special time you had together–even your honeymoon. Have your spouse fill in the blanks and you do the same. Read what you both filled-in and compare stories. Chances are your stories will be more “Rad,” than “Mad.” This is why we’re calling them Rad-Libs. Use the following as it is, or use it as a template to create your own. Most of all have fun! It is mid-summer, and I am dreaming of when we went to ____________________. We spent our time _____________________ and _______________________. I’ll never forget the look on your face when ______________________________. was so __________________________. I made sure we _________________. and ___________________________ most of all. This is post #12 in the Ultimate Blog Challenge to post everyday in July. This entry was posted in Christian Marriage, Date Night Ideas, Romantic Ideas, Romantic Vacation Ideas and tagged Adjective, Arts, Education, games, Games for Couples, Mad Lib, Married Fun, Video Games, Word Games. Bookmark the permalink.